Yogi Adityanath may again start the flagship UP Kisan Karz Mafi Yojana to waive off banks loans of small and marginal farmers. Uttar Pradesh govt. has already started the survey to identify farmers for UP Kisan Karj Rahat Scheme / Fasal Rin Mochan for the second time. Moreover, it is also possible that the state govt. will invite UP Farm Loan Waiver online applications at upkisankarjrahat.upsdc.gov.in. All the applicant farmers can track their Uttar Pradesh Kisan Karj Mafi Yojana loan redemption status, check name in the Kisan Karz Rahat List and can make online complaints at the official Kisan Karj Rahat portal. UP Fasal Rin Mochan Scheme will be implemented for 2nd time in current FY 2019. As per the information provided by the sources, it is being said that the state govt. 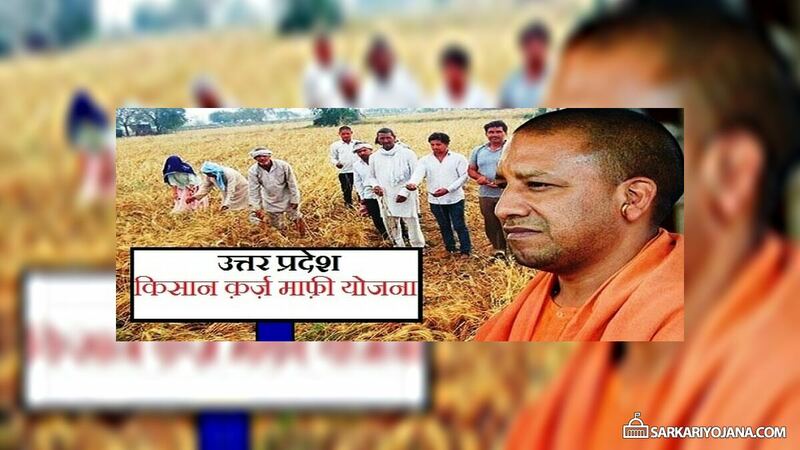 of Uttar Pradesh may again start UP Kisan Karj Mafi Yojana. Yogi Adityanath led UP govt. is planning to start Kisan Karj Rahat Scheme for the second time after coming to power. Previously this Karz mafi / Rin Mochan scheme was launched to waive off farm loans of around 86 lakh farmers with an outlay of Rs. 36,000. All the farmers who have previously availed the benefits of UP Kisan Karz Mafi Yojana would be included again in the Karj Rahat scheme. In addition, UP Fasal Rin Mochan Scheme is expected to cover all those farmers who have been left out of taking benefits of the 1st phase of UP Kisan Karj Mafi Yojana. Moreover, farmers who have made complaints on the upkisankarjrahat.upsdc.gov.in portal would also be included to waive off their pending loans. For this UP Kisan Karj Rahat Scheme 2019, govt. has started the survey for identification of farmers and has also opened a help desk at the district level. At this help desk, farmers can make complaints for Kisan Karj Mafi Scheme. The state govt. is connecting with a large number of farmers through this UP Kisan Karz Mafi helpdesk. Uttar Pradesh is addressing concerns of farmers to provide them with the benefits of Rin Mochan Scheme. In Hardoi district of Uttar Pradesh, farmers are arriving and standing in queue at the office of district agriculture officer to avail the benefits of UP Kisan Karj Mafi Yojana 2019. The farmers are submitting Kisan Karj Rahat Scheme application forms in a large number. Earlier, state govt. has issued orders to open Kisan Rin Mochan Scheme helpdesk for farmers. All the farmers who have been left out of the previous UP Kisan Karz Mafi Yojana 1st phase would now be benefited in the second phase of Farm Loan Waiver Scheme in Uttar Pradesh.